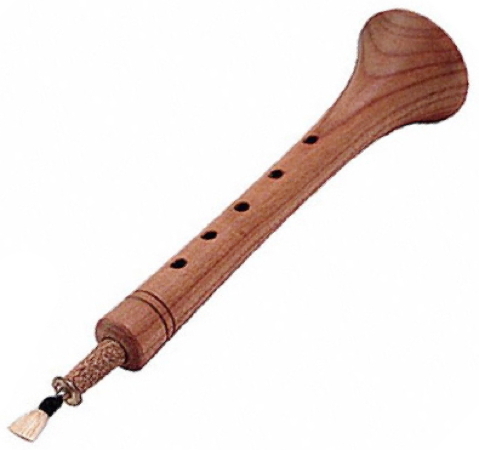 Other names: Birbyné, dili tuiduk, kaba-zurna, lettish horn, sornai, surla, surnay, zournas, zurla, zurma. Region: A wind instrument played in central Eurasia, ranging from the Balkans to Central Asia. I have been asked to explain why people in Pirin love the zurna, unlike the rest of Bulgaria. It is a quite a task for me, since love is a mystery which can never be cracked. It was much easier to try to give you an insight on what Bulgarians don't like (my point was that the sound of zurna is associated here with its actual use in the Turkish army while attacking Bulgarian lands), although I admit that love and hate are equally irrational. I think it is normal for some of the peoples on the Balkans to adopt traditions from the Turks, Bulgaria is no exception to this  my name, Altanov, has a Turkish origin, and it is normal for other peoples to have refused these same traditions. People in Pirin and the rest of Bulgaria are quite different not only as far as the date of liberation and the actual status while within the Ottoman Empire are concerned, but also in terms of their character. This you probably know well enough from their music and dances  in Pirin everything is celebration, strength . . . so is the zurna(?). I believe this instrument fits many features of the people living there, and beyond in Macedonia, Greece, and Albania. Think of the "slow motion" horo, or the wild beating heart of the tupan as two of the extremes. I would love to know what native Macedonians, Albanians, etc. think of this. Singing with Zurnas an article.